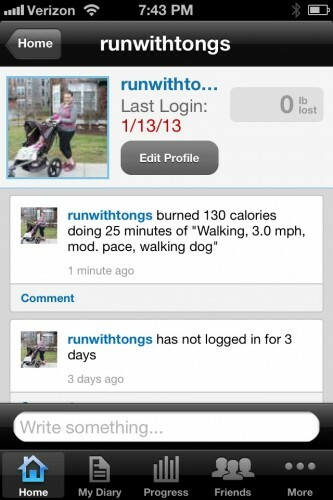 My Fitness Pal: Friend or Foe? I know I have been talking about goals, New Years Resolutions and getting back in shape for the new year and I promise (but not really) that this is my last post. I usually don’t make specific New Years Resolutions but rather goals for the new year and ways that I can accomplish those goals. This year I decided that if I really want to lose the baby weight I need to find a method that works well for me. In the past I have found calorie counting to work really well for me and I was able to lose 50lbs over about 18 months and maintain that weight loss for 5 years. So my thought is if it worked back then maybe it will work for me again. Now I’m not nitpicking when it comes to every little thing I eat and I’m not on a super calorie restricting “diet” but rather I have been using My Fitness Pal to record my daily eats and workouts so I can actually take a look at what I am REALLY eating and how often I am working out. It is so easy to overlook the things that we eat and by recording everything that I am eating I am able to figure out if am getting enough of the nutrients I need and also where I might need to cut back. Since I am still breastfeeding I really can’t restrict my calories too much so more of my focus is on making sure I am getting enough healthy calories and that I am making time to workout. 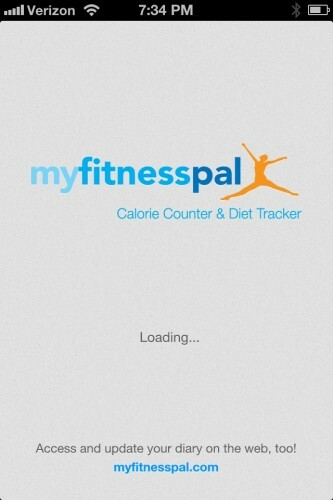 So far My Fitness Pal has been a such a help for me to really jump start my New Years resolution. It really is true what they say “If it’s not broken why fix it” aka recording my daily eats worked before and it’s working now. 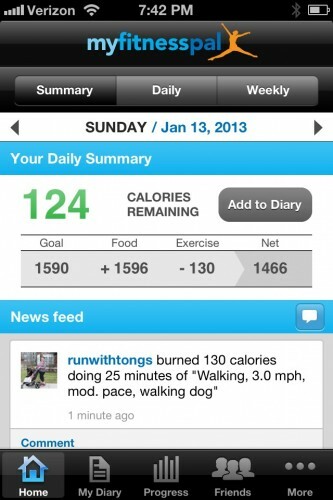 The only thing I really don’t like about My Fitness Pal is that it points out my flaws. 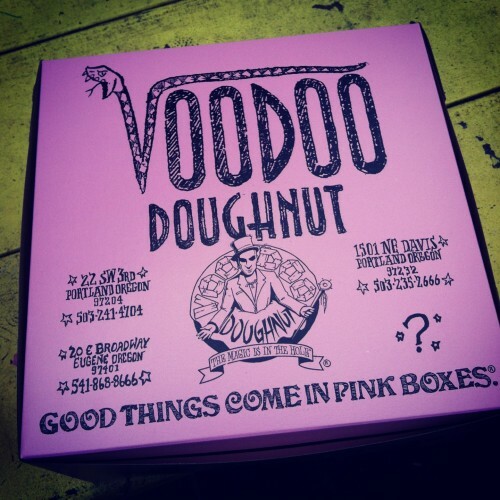 I mean really it’s not very nice to point out that I went about a billion calories over budget on Saturday because I ate one or three too many Voodoo Doughnuts. Okay I guess My Fitness Pal can’t be held responsible for my short comings and honestly I guess it’s doing it’s job – making me aware of where and when I need to make improvements so that I can be the healthiest and happiest I have ever been. Although daily meal and fitness recording is time consuming and I honestly probably forget things here and there I have found that it is really helping me. I also love that I am able to follow the progress friends who are also using My Fitness Pal and we are able to really support each other. I haven’t noticed a weight loss yet but I can tell you I am really starting to feel better and fit back into clothes that I wasn’t able to wear a few weeks ago. Q: Do you calorie count? How are you making your New Years Resolutions achievable? I hate that most beer doesn’t tell you how many calories are in a serving. 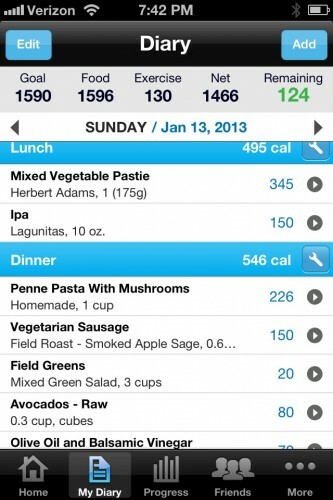 How did you know to count your beer as 150 cals? I just read this.. 12 oz glass of Dogfish Head 120minute IPA would be over 600 calories. I can’t imagine that but I also don’t know exactly what that beer is like. How do you go about accounting for calories when there isn’t always nutritional information. I go based on what others submitted to My Fitness Pal – it is quite possible that the Dogfish 120min is that high in calories because there is so much sugar. Anything with a higher alcohol content is going to be higher in calories. Am eating enough when I have changed my diet a lot. I find portion control and eating lots of high fiber things first really helps me stay on track. When we lived in Seattle it was a lot harder, so many tempting vegan goodies!